Custom Home with Exposed Wood Beams, Wood Countertop and Hardwood Flooring. Custom Home with wood in-laid ceiling and hardwood flooring. Custom Home Outside Living Area with Wood Planked Ceiling. Custom Home with Hard Wood Flooring . Mossy Head Lumber is a family-owned company with multi-generation experience located in the Mossy Head Community in the panhandle of Northwest Florida. Lumber is milled and dried on site and can be custom ordered for any job. 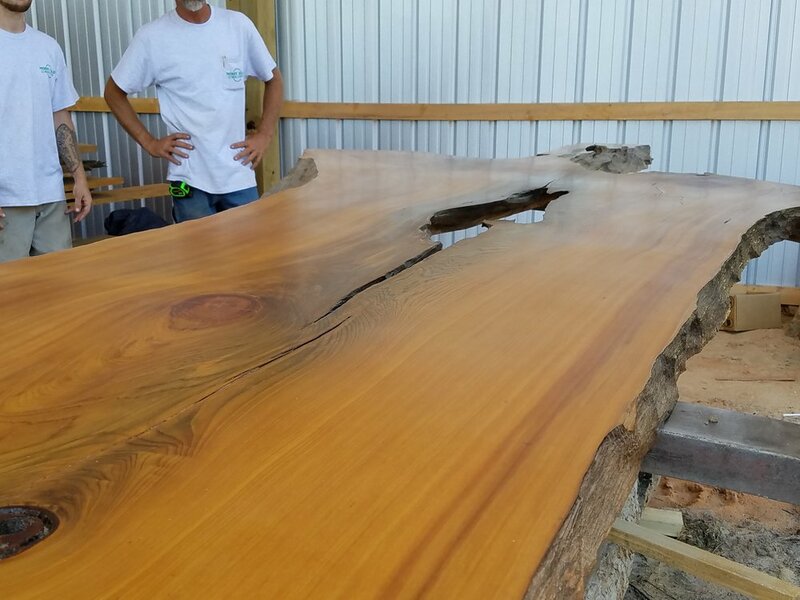 Most of the wood is recovered sinker cypress and pine found at the bottom of rivers and swamps where its home has been since the early 1800's. Loggers transferred them via waterways where many sunk and have remained there allowing the cool temperatures of the water to preserve and protect the wood, called sinker logs, making it some of the most sturdy, durable and beautiful material available. It can be used to build homes, create decorative planked ceilings and wood flooring as well as decorative pieces like ceiling beams, fireplace mantles, dining room tables and much more. Not only is it strong and durable but some of the most beautiful wood in the world! 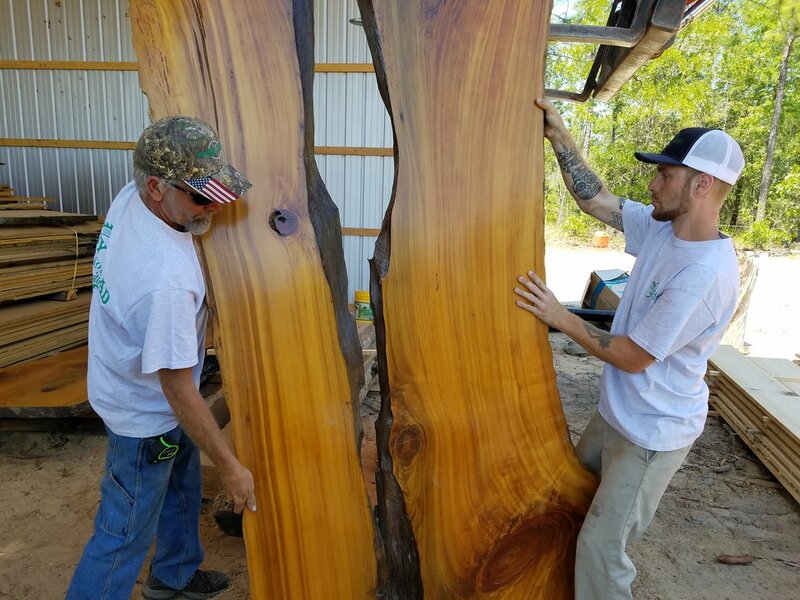 We sell retail reclaimed wood to individuals as well as wholesale and maintain a large inventory of sinker cypress, tidewater cypress, new-growth and old-growth cypress, pine, walnut and more, on-site at our mill for immediate availability. We can deliver virtually anywhere and no job is too big or too small. Mossy Head Lumber takes pride in its work and loves sharing "nature's artwork" with others. Contact us today for your next project. You'll be glad you did! Sawdust Is In Our Blood!